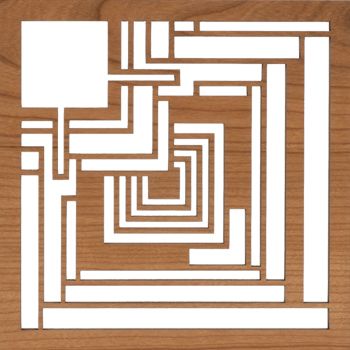 The Frank Lloyd Ennis Block Hardwood Trivet is an adaptation of the "textile" blocks that comprise the Charles Ennis House in Los Angeles, California. Comes with cushion feet. 7 3/4" x 7 3/4" x 1/2"